While there are a number of very good health care agencies in the vicinity of Chandler, Arizona, some provide exceptional service, and have earned the respect and patronage of area patients and their families. The 15 best organizations in the Chandler area are summarized below, in no particular order. After its initial 2009 success in Tucson, AZ, Total Care Connections spread rapidly to include nearby cities like Chandler, and the organization retains the same core values as when it originally opened. The organization is the only home care agency in Arizona to background check all staff members on a MONTHLY basis for your peace of mind. In addition to caregiving services, Total Care Connections offers private nursing services as well. For a free consultation, call their office at: 480-387-1927. Endeavor’s clientele are largely seniors, and the special focus of Endeavor care is in providing assistance for seniors with dementia, and for those who need constant care. Post-surgery care and rehabilitation services are also a specialty of the agency, which provides all manner of assistance needed by its clients. Sante provides skilled nursing care, physical therapy, occupational therapy, speech therapy, medical social workers, and home health aide services to clients, all in the comfort of their own home. Areas of specialty are patients with COPD and congestive heart failure. This organization tailors its services to the needs of the individual, but always offers companionship, respite care, meal preparation, transportation assistance, light housekeeping, grooming and dressing, and all the other basic necessities required by home-bound patients. Home Care Assistance prides itself on offering a proprietary care program called the Balanced Care Method, which is modeled after the lifestyle of seniors in Asian countries, who often live extraordinarily long, healthy lives. Griswold Home Care specializes in providing care for patients with chronic conditions, as well as special medical conditions such as Alzheimer’s Disease, post-surgery and rehabilitation, fall recovery, neuro-muscular issues, and specific kinds of disabilities. This organization focuses its care in the areas of assistance for new mothers, surgery recovery, travel companionship, disability care, dementia, Alzheimer’s, and personal care. 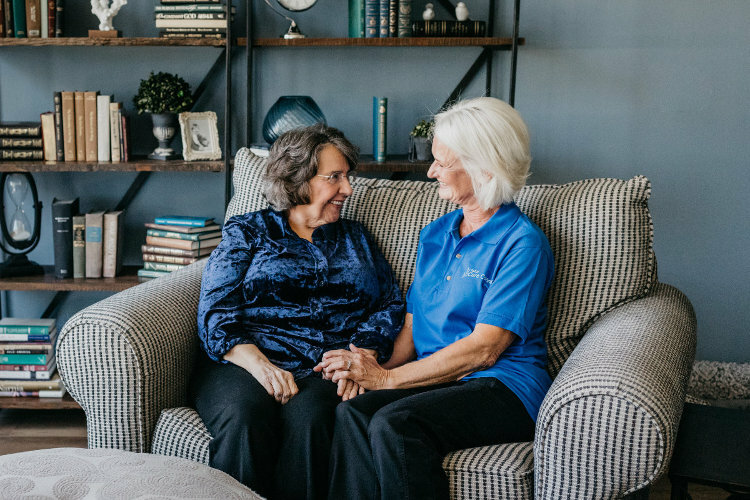 About Care exclusively employs caregivers who have had several years of experience in specific areas of expertise like Alzheimer’s, hospice, dementia, and disabilities. Caregivers are carefully screened, and can be chosen by patients or assigned on the basis of compatibility. This is the largest locally-owned agency in the region, specializing in home infusion, specialty pharmacy, and home health care. Employees are top-notch therapists, nurses, and aides, and the company has provided outstanding service to patients since 1996. Having won awards for its exceptional senior care, Always Best Care is at the top of the list in providing personal assistance, companionship, helper care, and Alzheimer’s care for area seniors. Patients’ needs are carefully matched to caregiver skills by Home Instead, so patients can receive the best in Alzheimer’s care, personal assistance, home helper care, companionship, family respite care, and 24×7 care as needed. Areas of special care provided by Compatible Home Care professionals are for post-surgery and rehabilitation, Alzheimer’s patients, and in-home caregiving for seniors as needed. Employees of this agency include certified nursing assistants, RN’s, home-makers, and medical students, all of whom are screened and background-checked before joining the team to provide in-home care to area patients. Seniors at home are the primary patient group serviced by Assisting Hands, and each client is interviewed thoroughly at the outset, so a customized program of care can be developed between patient and caregiver. In-home services provided by Amada are the Acitivites of Daily Living such as bathing, housekeeping, dressing, errands, shopping, meal preparation, bathroom assistance, navigation around the home, shopping, and other kinds of non-medical assistance.